10000ft features collaboration solutions for creative thinkers. Since launching in 2012, the Seattle-based company has grown to serve organizations in over 100 countries tracking over 200,000 projects, adding up to seven million hours in the system. Their first offering, 10,000ft Plans, has received an Interaction Design Award, an Industrial Design Association Award, and was a finalist at SxSW. 10,000ft Insights is an online brainstorming, collaboration and file sharing solution for creative teams irrespective of team members' geographical location. Creatives can get together online in a "virtual war room," gathering product or project specs, sharing sketches and designs, comparing concepts and ideas and providing feedback to the team. 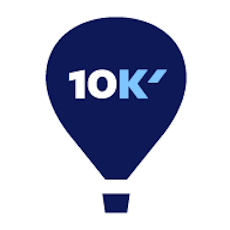 10000ft Plans is an interactive, high-level project resource management platform for business owners, managers and other organization leaders. 10000ft Plans replaces the tedium of traditional static spreadsheets and emailed status updates, featuring a drillable, collapsible visual timeline. See at a glance who is working on which projects, weeks in progress, status of deliverables, budget, and more. Organization leaders can participate in projects, and the tool pre-populates the status bar to show which projects you are on, letting your team know what you are working on, or even shows if you are out of the office.